Ah negres flors d'inexplicada causa! Oh negres flors de pètals endolats! On heu nascut? Qui és vostre pare i mare? No ho sabreu dir. Funestes flors, funestes! Ah black flowers of unexplained reason! 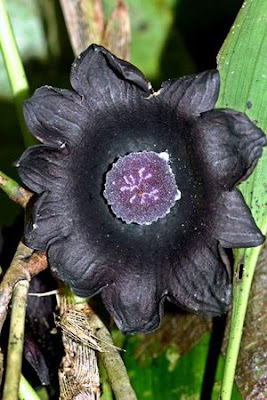 Oh black flowers with mourning petals! Were you born? Who is your father, who your mother? You will not how to say it. Baleful, baleful flowers.